The UK manufacturing PMI does not seem to be strong enough to remove the bears from the GBPUSD chart. 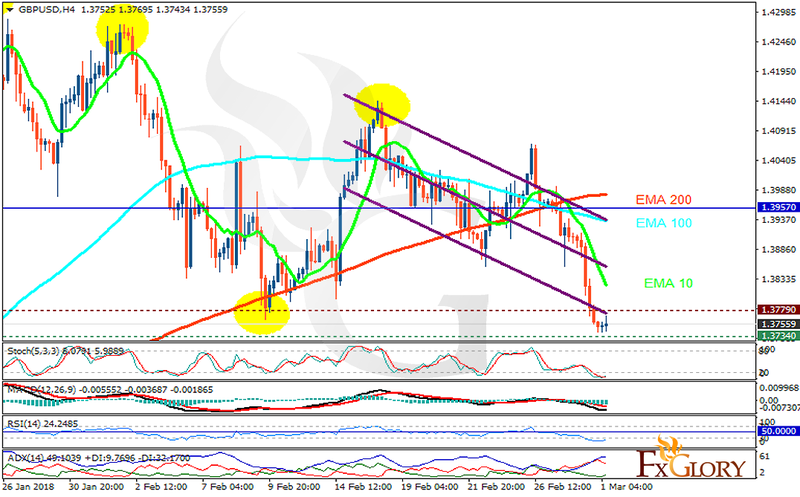 The support rests at 1.37340 with resistance at 1.37790 which both lines are below the weekly pivot point at 1.39570. The EMA of 10 is moving with bearish bias in the descendant channel and it is below the EMA of 200 and the EMA of 100. The RSI is moving in oversold area, the Stochastic is moving in low ranges and MACD line is below the signal line in the negative territory. The ADX is showing sell signals. Bears will remain on the chart dragging the price down to 1.365.